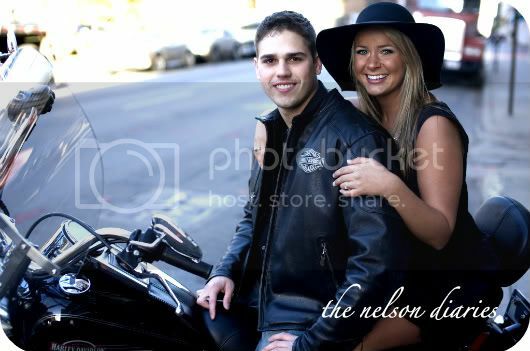 Alright, my last engagement picture post has arrived. 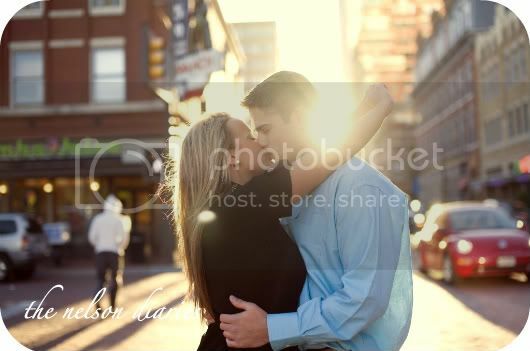 We took these pictures in downtown Fort Worth, TX. It was about 40 degrees and super, SUPER windy. I couldn't feel my legs because it was SO cold. Also, I just had to share these few pics below. Our photographer, Stephanie Davis, said, "Okay Andrew, now run towards Shalyn and grab her and surprise her." That he did...I think he misunderstood the word, "grab" meaning, "handful" of well, my ladies or ta ta's if you will :) I was so embarrassed, and as you can see we were all laughing hysterically. I still can't believe he did that, yet, I'm thankful I have these. They crack me up! 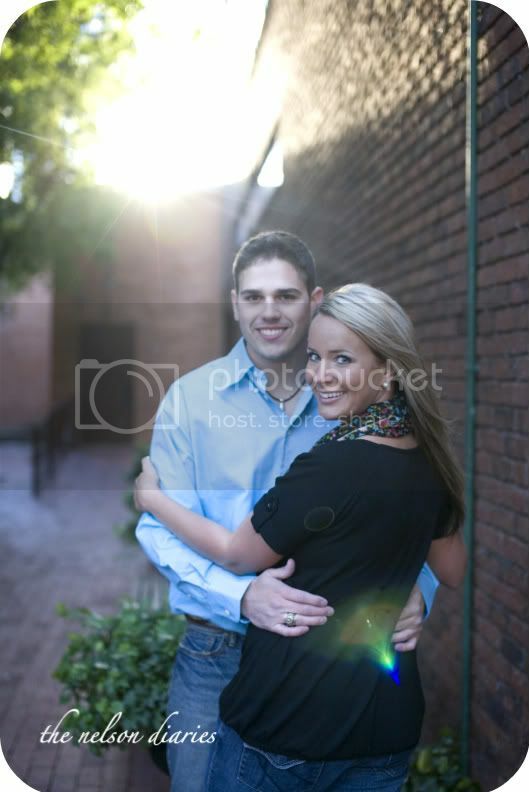 Your engagement pics are just beautiful! Can't wait for the wedding post! Ohh so nice! Love the pics of him running up to you.. hilarious and so sweet! You look like a super model in these!! i love the last one that would so be me and Adam..lol! Love , Love, Love these! 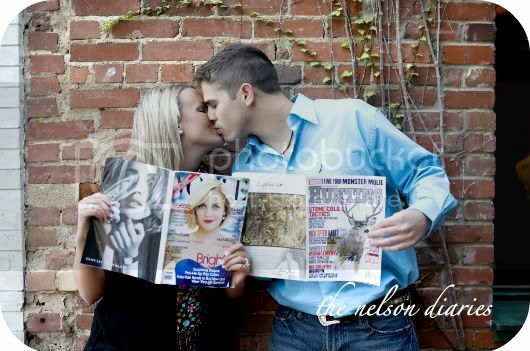 They are magazine worthy just like the rest of your pics! Just so pretty! 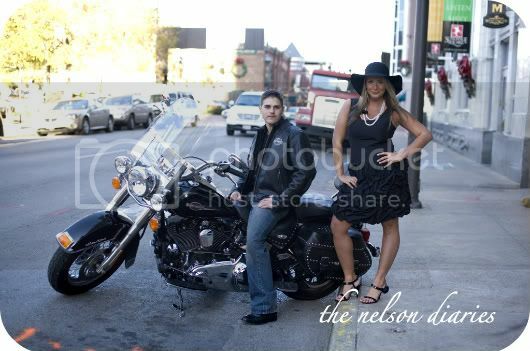 LOVE these pics! you guys look great! I love the top and scarf in the last couple of photos. Where did you find those if you don't mind me asking? Thanks!! 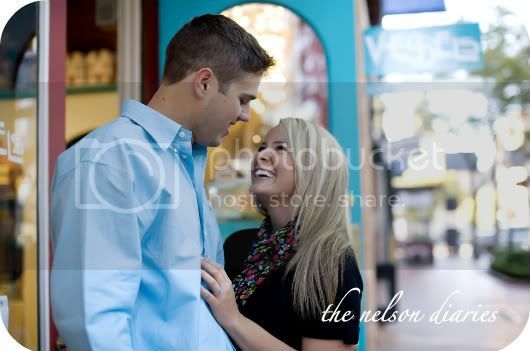 These engagement photos are to DIE FOR! Your outfits are SUPER cute and your makeup is gorgeous. p.s. new follower...LOVE your posts! Looks like you both are having so much fun! 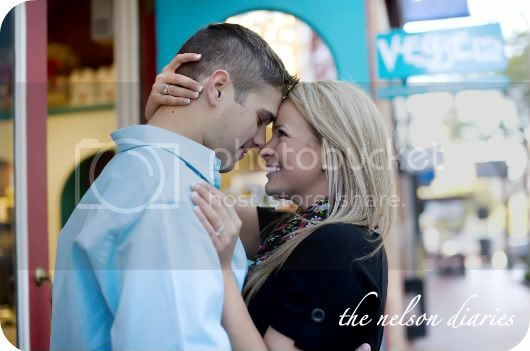 Congratulations on your engagement...your pictures are lovely! Thank y'all all so much!!! You guys are SO kind! Oh my goodness...I love these pictures!!! So perfect!! All three sets were beautiful, but these are my FAVORITES! Oh my gosh - the "handful" ones are completely hilarious!